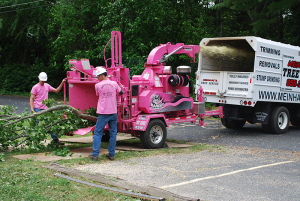 Meinhart’s Tree Service is Joining The Fight Against Breast Cancer! We are pleased to announce our partnership with South Jersey Breast Cancer Coalition. We will make a donation for every job our new “Pink Crew” works on. Many of our friends and family have fought and are still fighting breast cancer. Help us in our fight against breast cancer.